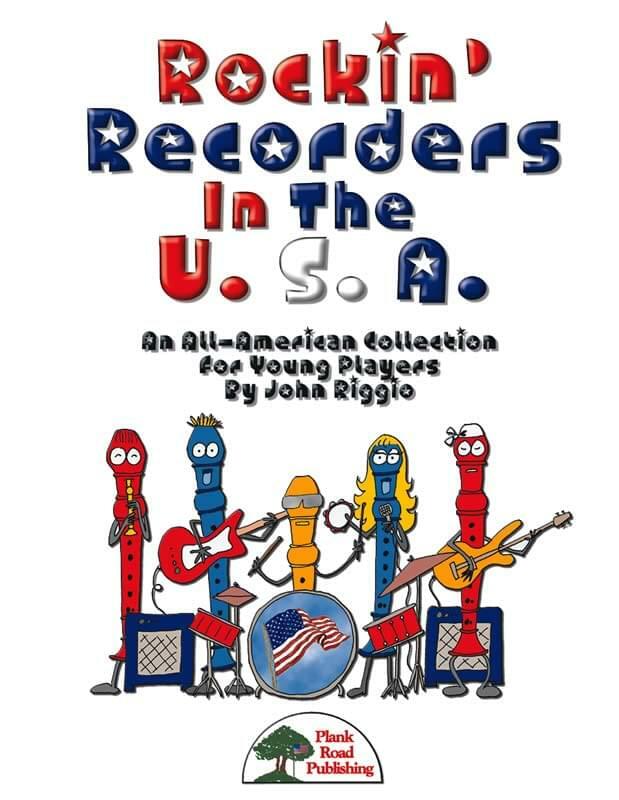 Product Detail: Rockin' Recorders In The U.S.A. If you have used music from any of his other collections, you know why young players love John Riggio's arrangements. He has learned how to take familiar songs and add an excitement to them with a modern groove and harmonic treatment. In this collection, he has created contemporary settings of six favorite American tunes specially crafted to work well with young players. The recordings are state-of-the-art, featuring some of the top players in the country and electronic effects that will give your performances a spectacular sound even with beginning players. To make the collection even more functional as your players progress, some of these pieces have different versions, so that they have easy and more difficult versions of the tune, or slower and faster recordings.